This trip gives you an excellent opportunity to live for a few days in wilderness watching bears, red and roe deer, chamois, etc., then move to the comfort of a guesthouse and take morning and evening walks to see bears and – depending on how early in the year you take the trip – even lynx and wolves! Important! As we are talking about wildlife in natural conditions there are no guarantees that you will see anything. We will take you to the best spots and maximize your chances to enjoy wildlife and especially lynx and bears, but weather and other uncontrollable factors can cause lack of success. From your side, you should make sure to wear appropriate clothing, wear comfortable walking boots/shoes and absolutely no „smelly” things (perfumes, detergents, creams etc)! This is a trip for the physically and mentally fit people! The accommodation for the first part of the trip is a tourist cabana, with no proper toilet or shower. There is no food included on the first part of the trip (you can buy food at the cabana). You will not sleep long, as you need to be in the field before sunrise and you go back to the cabana/guesthouse after dark. Early morning you will start hiking towards the tourist cabana. As bears/lynx are nocturnal animals, you will need to start hiking before sunrise to have a chance to see them on the way up! Warning: you will need to carry your equipment. You will sleep in a tourist cabana in a proper bed with linen, so you will not need to carry your sleeping bags as well. There is no proper toilet or shower, so if you are looking for comfort – please check out our trips under „Wildlife watching in the wild” section. Wildlife watching with a researcher. As bears and lynx are nocturnal animals, early in the morning and in the afternoon/evening you will need to be out in the field to see them! In fact, the more time you spend out of the cabin – the more chances you have to see different wildlife, so get ready for little sleep! After the morning bear watching session, you will pack your backpacks and start hiking back to the car. We will be driven to a guesthouse in Zarnesti. The guesthouse is with very warm hosts and an excellent cook. You will have an early 3-course dinner followed by a visit to a bear hide. This is a facility where wild bears are attracted with food for close-up observations. Usually we are successful in seeing bears at the hide, but do take into consideration that nothing is guaranteed when it comes to wildlife! Distance – 10-70m. These days are focused on tracking lynx and bear. As they are nocturnal animals, the activities related to seeing them will be undertaken in the morning and evening. The morning departure will take place before sunrise. You will be driven to one of the valleys with recent lynx or bear activity. From the place where the researcher parks there will be about 1h hike (medium to hard difficulty, depending on the valley) to places where you have a good visibility over the area. This is where you will sit quietly for a couple of hours. In this way you will have a good chance to watch wildlife in its natural habitat. 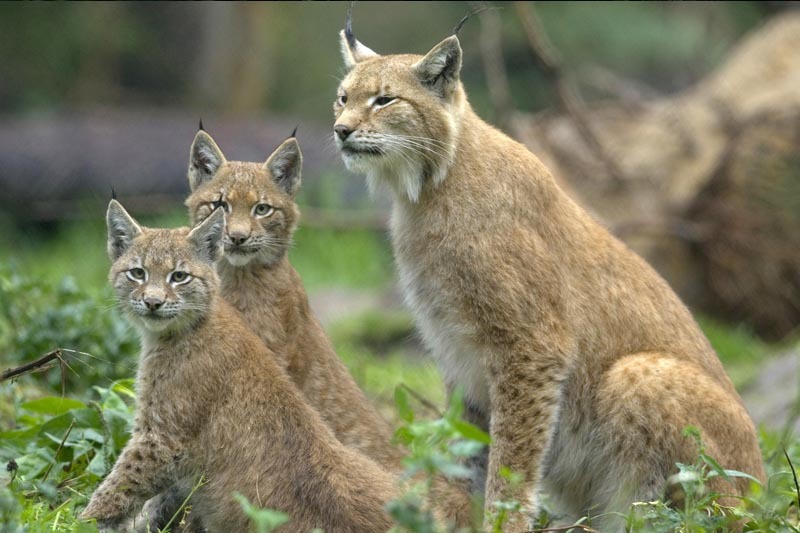 Important about Bear watching and lynx watching trip in Transylvania! As we are talking about watching wildlife in uncontrolled conditions – there are no guarantees that you will see anything. We will take you to the best spots and maximize your chances to enjoy wildlife and especially lynx and bears, but weather and other uncontrollable factors can cause lack of success. First of all, from your side, you should make sure to wear appropriate clothing, wear comfortable walking boots/shoes and absolutely no „smelly” things (perfumes, detergents, creams etc)! You will return to the guesthouse, have a late breakfast and rest. Still, for the more active of you, as extra activities, during day-time you can do some hiking and wildlife tracking. You can visit a shepherd camp or some of the local historical places like Bran Castle, Peles Castle or the fortified church in Prejmer. You can also go by horse-drawn cart on one of the beautiful valleys close-by, hike, bike, paraglide, ride a horse or just relax in the garden with a glass of home-made bilberry liquor or plum brandy, or the local “bear beer”. In the afternoon you will be again picked-up by the researcher, who will drive you and hike with you (medium to hard difficulty) for 30’-1h to special places in order to see wildlife in their natural habitat. The chances to see lynx and bears are quite high, as the researchers know the perfect spots for watching these magnificent animals. Late in the evening (after sunset) you return to the guesthouse for a good night sleep. VERY GOOD level of fitness required (grade C). Also you need to be able to cope with the lack of sleep for several days in a row. 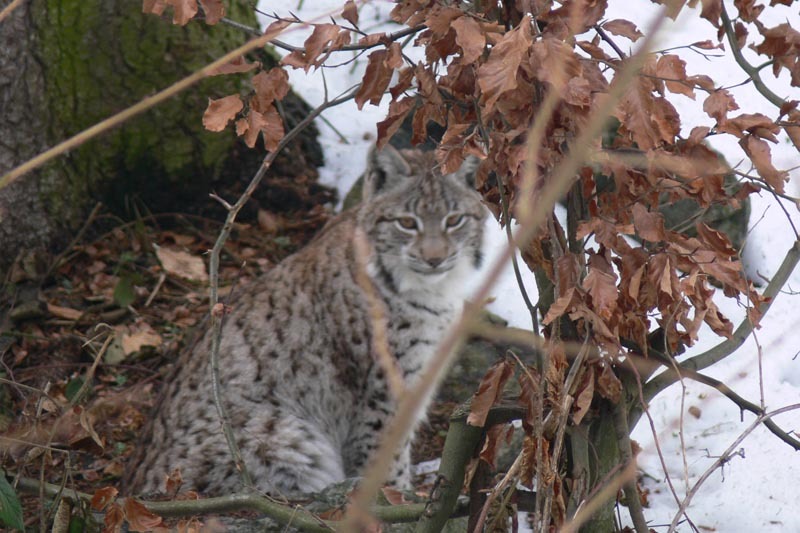 Thank you for choosing us for your trip in Transylvania focused on lynx watching and bear watching!